On sophisticated construction projects (federal, Florida public, or Florida private projects), it is not uncommon for a prime (general) contractor to require that certain subcontractors furnish the prime contractor a payment bond. When the subcontractor furnishes the prime contractor a payment bond, this bond is a common law bond because it is not a bond furnished in accordance with a statutory requirement. Unlike a statutory payment bond (whether furnished per the Miller Act, Florida Statute s. 255.05, Florida Statute s. 713.23, or Florida Statute s. 337.18) there are no statutory prerequisites in order for a claimant to preserve rights under the common law payment bond. For instance, if the subcontractor that furnished a payment bond has an unpaid subcontractor or supplier, these entities can pursue claims directly against the subcontractor’s payment bond instead of the prime contractor’s (statutory) payment bond. Thus, if the subcontractor’s unpaid subcontractors or suppliers failed to preserve their rights against the prime contractor’s (statutory) payment bond, they can still pursue rights against the subcontractor’s common law payment bond. In USA f/u/b/o Vulcan Materials v. Volpe Const., 622 F.2d 880 (5th Cir. 1980), an earthwork subcontractor furnished a payment bond on a federal project (where the prime contractor would have furnished a Miller Act payment bond). The subcontractor had an unpaid supplier of fill. Amongst other claims, the supplier sued the earthworks subcontractor’s payment bond. The Fifth Circuit found that not only was this payment bond a common law bond, but the supplier (bond claimant) was entitled to attorney’s fees pursuant to Florida Statute s. 627.756. (1) Section 627.428 (entitlement to attorney’s fees) applies to suits brought by owners, subcontractors, laborers, and materialmen against a surety insurer under payment or performance bonds written by the insurer under the laws of this state to indemnify against pecuniary loss by breach of a building or construction contract. Owners, subcontractors, laborers, and materialmen shall be deemed to be insureds or beneficiaries for the purposes of this section. 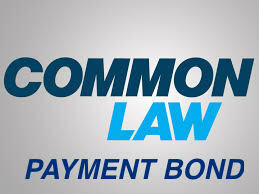 Thus, even if the bond is a common law payment bond, an unpaid claimant can still recover their attorney’s fees. Thus, the unpaid claimant gets the benefit of not having to comply with statutory prerequisites to preserve rights under the prime contractor’s payment bond and the recovery of attorney’s fees against a common law payment bond. This entry was posted in attorneys fees, payment bond and tagged attorneys' fees, common law payment bond, Florida Statute 627.756, payment bond by David Adelstein. Bookmark the permalink.